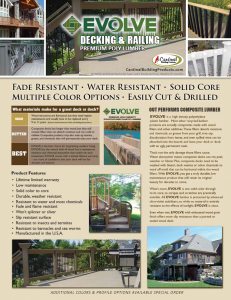 Get a new outlook with alternative decking from EVOLVE plastic lumber. 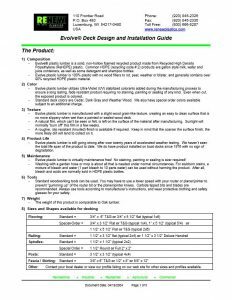 EVOLVE decking can be used to create any outdoor living space, from decks and docks to pergolas and playgrounds. Whatever you create, you’ll get attractive, timeless durability with the lowest long-term cost of ownership. Your EVOLVE deck is built to last! Enjoy a decay-free, reduced maintenance product! 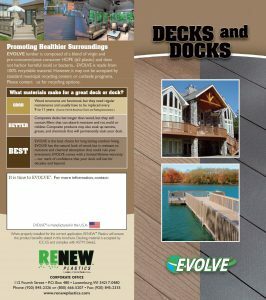 Get a new outlook on outdoor living with alternative decking from EVOLVE. When you build with EVOLVE plastic lumber, you get the beautiful, natural look of wood decking, without all the worry and maintenance. Whatever you create, you’ll get attractive, timeless durability with the lowest long-term cost of ownership. We understand your commitment to the environment and sustainable living, and we strive to offer products that you will feel good about using. EVOLVE lumber products are composed of a blend of recycled pre-consumer/post-consumer and virgin high density polyethylene. Unlike wood-plastic composite, EVOLVE is 100% recyclable. EVOLVE doesn’t absorb water, it won’t harbor harmful mold or bacteria. That means a healthier environment for you and the rest of the world. Recycled plastic lumber such as our EVOLVE has been approved by the U.S. Environmental Protection Agency as an environmentally responsible choice for landscaping and other outdoor applications. “Structures made from recovered plastic material do not require routine upkeep-saving paint, solvent, and labor costs. Plastic lumber also lasts many years longer than wood – greatly reducing maintenance and replacement costs.” – U.S. EPA Greenscapes Environmentally Beneficial Landscaping Report. 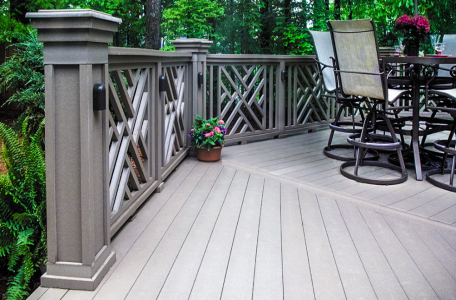 Never stain, sand, or paint again with an EVOLVE deck, dock, or porch. 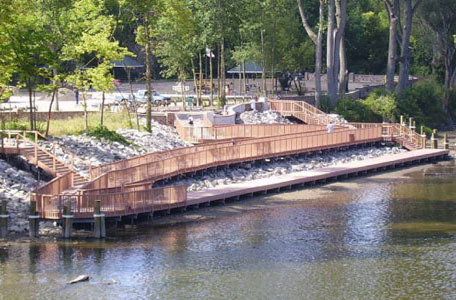 Once your project is installed, it is set for a lifetime of enjoyment and years of low maintenance living. If EVOLVE gets dirty, a quick hose or mop is all it needs. No special chemicals or sealants required. EVOLVE plastic lumber can even stand up to pressure washing for a thorough, like new clean. Unlike wood or composite decking material, unhealthy mold or fungi cannot penetrate and permanently stain the EVOLVE surface. A good blast with a pressure washer is all that is normally needed to keep your deck clean.